The TCJA modified the mortgage interest deduction for homeowners. Here’s what you need to know about the changes. Home ownership has long been the American dream. Mortgage loans have made it possible for the majority of American homeowners to afford buying a home. The government has encouraged home-ownership by offering tax breaks linked to mortgages, but recent changes in tax law changes how much a typical homeowner-taxpayer will benefit from the deductions. In 2018, the Tax Cuts and Jobs Act (TCJA) changed the rules on how much mortgage interest can be deducted from taxable income. Mortgage interest was one of the biggest deductions that tax law allowed. Unlike interest in borrowing for personal expenses, mortgage interest on a taxpayer’s residence can be deducted as an itemized deduction. TCJA modified the mortgage interest deduction in several ways. The change that garnered the most attention was the reduction in the amount of interest that you’re allowed to deduct. Going forward, taxpayers will only be able to deduct interest on up to $750,000 of mortgage debt, down from $1 million under prior law. The old $1 million mortgage limit is grandfathered in for existing mortgages, but if a taxpayer obtains a new mortgage post-TCJA, they will be subject to the lower limit. Taxpayers obtaining new mortgages exceeding $750,000are still eligible for a mortgage deduction, however, it will only be on the portion of interest attributable to the first $750,000 borrowing. Under old law, taxpayers could deduct interest on up to $100,000 of home equity debt. This allowed taxpayers to do whatever they wanted with the money, including paying down other types of debt (credit card, student loan, auto loans, etc.) or spending on things unrelated to their residence while still able to deduct the interest. Tax reform under TCJA partially took away the ability to deduct interest on home equity debt. The interest is still tax deductible if the loan is used to buy, build, or improve your home and doesn’t bring the total outstanding mortgage above the new $750,000 limit. If the home equity debt was used for other purposes, it is no longer deductible. Unlike other changes, existing home equity loans were not grandfathered in. It is important for taxpayers to understand how refinancing an existing mortgage will work for income tax purposes. When a taxpayer takes a mortgage to buy or build a home, it counts as home acquisition debt and is capped at $750,000. A mortgage for other purposes is treated as a home equity debt and now receives no interest deduction. When a taxpayer refinances a mortgage they originally counted as home acquisition debt, the refinanced mortgage will also count as home acquisition debt as long as it is in the same amount. If there is excess borrowed in the refinancing, the extra portion of cash pulled out will be treated as home equity debt, so that portion of the interest you pay won’t be deductible unless it is used to improve the home. Interest payments are deductible on mortgage debt up to $750,000 (formerly $1 million). Deduction for other home equity debt (HELOCs and second mortgages eliminated (formerly $100,000). With Simon Filip, the Real Estate Tax Guy, on your side, you can focus on your real estate investments while he and his team take care of your accounting and taxes. Contact him at [email protected] or 201.655.7411 today. One of the most valuable assets a taxpayer will ever sell is their personal residence. Under IRC Section 121 of current tax law, a taxpayer can exclude up to $250,000 ($500,000 if married, filing jointly) of gain realized on the sale or exchange of a principal residence. Any loss on a principal residence is deemed a personal loss and non-deductible. If a taxpayer uses more than one property as a residence, the property that checks the most boxes will likely be assessed as the primary residence. If a taxpayer alternates between two properties, the property used the majority of time during that year will be considered the principal residence for purposes of the IRC Section 121 exclusion. A houseboat, trailer, or apartment a taxpayer is entitled to occupy in a cooperative housing corporation (co-op) may also qualify as a principal residence. How is gain or loss computed? Gain (or loss) is computed based upon the selling price less expenses of the sale and the taxpayer’s adjusted basis in the residence. Adjusted basis is original cost plus the cost of improvements (not repairs) made to the residence and reduced by any depreciation claimed on the property. Ownership – the taxpayer must have owned the residence for at least two years during the five years ending on the date of the sale or exchange. Tip – The measuring period is the actual time between sales, not taxable years. Use – the taxpayer must have occupied the residence as a principal residence for periods adding up to at least two years within the five-year period ending on the date of sale or exchange. One Sale in Two Years – the exclusion under Section 121 does not apply to any sale of a principal residence if, during the two-year period ending on the date of sale, the taxpayer sold their principal residence in which gain was excluded under section 121. Example: A taxpayer sold a principal residence on March 1, 2016 and excluded the gain under Section 121. The taxpayer would not be eligible to claim the exclusion under Section 121 until April 2, 2018. It is important to note The Tax Cuts and Jobs Act proposed increasing the length of ownership and use from two out of five years to five out of eight years. This was removed from the final version of the bill. The IRS takes the position that the Section 121 exclusion is not available for any portion of the residence used for business purposes during the qualifying use period. Thus, if a portion of the property was used as a principal residence and a portion separate from the dwelling unit was used for non-residential purposes, only the gain allocable to the residential portion is excludable. However, no allocation is required if both the residential and nonresidential portions are within the same dwelling unit (commonly seen in home offices). It is important to note gain attributable to depreciation claimed after May 6, 1997 is not eligible for exclusion. Jeff, an accountant, purchases a house in 2014. The house is a single unit, but Jeff has one room that is used exclusively for the accountant practice until the property is sold in 2017. Jeff claims depreciation of $3,000 attributable to the portion used as a home office. Upon the sale in 2017, Jeff realized a gain of $75,000. Since Jeff’s home office is part of the dwelling, no allocation is required. However, Jeff must recognize $3,000 of the gain as unrecaptured Section 1250 gain (currently taxed at 25%), the depreciation claimed for the business portion of his home. The remaining $72,000 is excludable under the Section 121 exclusion. For more about how the sale of your principal residence can affect your tax situation, please contact me at [email protected] or (201) 655-7411 . How purchase value is divided up between land and buildings impacts the depreciation tax benefits you get as a real estate owner. Here’s what you need to know. A tax benefit of real estate investing is the tax shelter provided by depreciation. Depreciation is an IRS acknowledgment that assets deteriorate over time. The IRS provides specific depreciable lives for residential and commercial property of 27.5 and 39 years, respectively. Unlike other expenses, the depreciation deduction is a paper deduction. You do not have to spend money to be entitled to an annual deduction. When acquiring real estate, a taxpayer is acquiring non-depreciable land and depreciable improvements (excluding raw land, land leases, etc. for this discussion). In transactions that result in a transfer of depreciable property and non-depreciable property such as land and building purchased for a lump sum, the cost must be apportioned between the land and the building (improvements). Land can never be depreciated. Since land provides no current tax benefit through depreciation deductions, a higher allocation to building is taxpayer-favorable. This results in the common query of how a taxpayer should allocate the purchase price between land and building. The Tax Court has repeatedly ruled that use of the tax assessor’s value to compute a ratio of the value of the land to the building is an acceptable way to allocate the cost. For example, a taxpayer purchases a property for $1,000,000. The tax assessor’s ratios are 35/65 land to building. Using the tax assessor’s allocation the taxpayer would allocate the purchase price $350,000 and $650,000 to land and building, respectively. Other acceptable methods used as basis for allocation include a qualified appraisal, insurance coverage on the structure (building), comparable sales of land and site coverage ratio. In the recent U.S. Tax Court case, Nielsen v. Commissioner, the court concluded the county assessor’s allocation between land and improvements were more reliable than the taxpayer’s proposed values. Nielsen (the “petitioners”) incorrectly included their entire purchase price as depreciable basis, with no allocation between the improvements and the land. When the petitioners were challenged they acquiesced and agreed the land should not have been included in their calculation of the depreciable basis. However, the petitioners challenged the accuracy of the Los Angeles County Office of the Assessor’s assessment as being inaccurate and inconsistent. Petitioners relied on alternative methods of valuation, which included the land sales method and the insurance method. The Tax Court ruled the county assessor’s allocation between land and improvement values was more reliable than the taxpayer’s proposed values. In Nielsen vs. Commissioner, the Tax Court chose the assessor’s allocation over those provided by the taxpayers. However, facts and circumstances may not support the assessor’s allocation in all cases. It is important for a taxpayer to have reliable support and documentation to defend an allocation if it should be challenged. If you have questions about how to allocate value between land and building, we’re here to help. Contact me at [email protected] or 201.655.7411. Regularly, clients contact me to discuss the tax consequences of selling their primary residence. It seems there is a lot of misinformation floating around that I aim to clarify below. 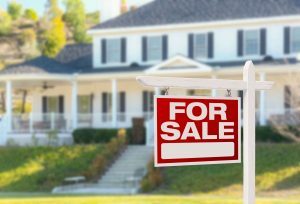 It is common for sellers who have been in their homes for quite some time to cite the “old” rollover rule. Before May 7, 1997, taxpayers could avoid paying taxes on profits from the sale of their principal residence by using the proceeds to purchase another home within two years. Sellers over age 55 had the option of a once-in-a-lifetime tax exemption of up to $125,000 of profits. Internal Revenue Code Section 121 replaced the old rollover rule and allowed taxpayers to exclude gains from the disposition of their home if certain requirements are met. In order to qualify for the gain exclusion, a taxpayer must own and occupy the property as a principal residence for two of the five years immediately preceding the sale. If a taxpayer has more than one home, the gain can only be excluded from the sale of their main home. In cases where there are two homes that are lived in, the main home is generally the one that is lived in the most. 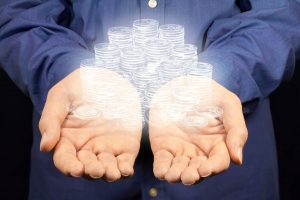 If the requirements are met, taxpayers may be able to exclude up to $250,000 of gain from their income ($500,000 on a joint return) and are not obligated to reinvest the proceeds. I was recently able to provide guidance to married taxpayers who sold their property. This particular property was a side-by-side duplex where the taxpayers occupied one side as their principal residence for approximately 10 years and rented the other. The taxpayer was familiar with the $500,000 exclusion and the gross proceeds were slightly below that amount. During sales negotiations, they were incorrectly advised that the proposed sale of their principal residence with a gain under $500,000 would result in no income taxes owed after the sale. Needless to say, there was an unexpected surprise when I discussed the true income tax consequences with them. Selling a duplex is conceptually akin to selling two separate properties. The side the taxpayers occupied is afforded the same tax treatment as any other principal residence, which includes the Section 121 gain exclusion up to $500,000 for married taxpayers. However, the investment side of the duplex is subject to capital gains tax and depreciation recapture taxes. In this particular instance, there was approximately $30,000 of combined federal and state income taxes owed as a result of the sale. Under current law, taxpayers can sell their principal residence and exclude $250,000 of taxable gain ($500,000 for those married filing jointly). The requirements to reinvest the proceeds or to roll them into a new property have been inapplicable for some time. Taxpayers are free to use the proceeds from the sale in any manner without tainting the exclusion. If you have additional questions about the income tax consequences of a residential sale, especially when a portion of the property has been rented out, we’re here to help. Contact me at [email protected] or 201.655.7411. You can also download my free Tax Tip Sheet for more ways to save taxes when buying or selling a residential property. As a real estate investor, it is essential to know the difference between a real expense and a phantom expense. An investor might think a $1,000 roof repair is a good thing since he or she can deduct it as an expense. What if you never had to make that repair in the first place? You would have $1,000 of taxable income in your pocket. Being taxed isn’t automatically a bad thing, since that means you are making money on the property. What is a Phantom Expense? Depreciation is the perfect example of a phantom expense since it allows an owner of real estate to recover the value of the building against rental income. The IRS allows a deduction for the decrease in value of your property over time, irrespective of the fact that most properties never really wear out. Simply put, depreciation allows you to write off the buildings and improvements over a prescribed period of time, providing a “phantom expense” that is used to offset rental income. Residential real estate and improvements are depreciated over a 27.5 year period. Commercial real estate and improvements are depreciated over 39 years. In addition to a depreciation deduction, the Internal Revenue Code allows for the interest portion of a mortgage payment to be deducted for income tax purposes. The principal portion of a mortgage payment is treated as taxable income or “phantom income“. During the initial years of a typical mortgage loan, the principal reduction (debt amortization) is normally offset by depreciation deductions and interest expense, decreasing taxable income. In the later years of a typical loan amortization, principal reduction will exceed interest expense and depreciation, thereby increasing taxable income and generating a seemingly disproportionate tax liability (the dreaded phantom income). A taxpayer may incur phantom income upon disposition of a property. Phantom income is triggered when taxable income exceeds sales proceeds upon the disposition of real estate. Usually, this results from prior deductions based on indebtedness. You may have deducted losses and/or received cash distributions in prior years that were greater than your actual investment made in the property. 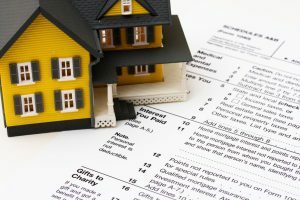 If you are planning to dispose of a property and believe you are in this situation, there are strategies to minimize the tax impact including IRC 1031 exchanges, which are discussed in my blog Understanding IRC Code Section 1031 and why you should care. Real estate investors who want to maximize their after tax cash flow need to be cognizant of phantom income and compare their cash flow to taxable income. This analysis should be undertaken regularly as it may impact their investment returns. If you have questions about phantom income and your real estate, contact me at [email protected] or 201.655.7411 .